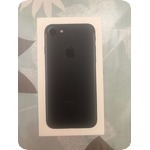 New-Apple-iPhone-7-Black-128GB-Verizon New-Apple-iPhone-7-Black-128GB-Verizon New-Apple-iPhone-7-Black-128GB-Verizon New-Apple-iPhone-7-Black-128GB-Verizon New-Apple-iPhone-7-Black-128GB-Verizon Upgrading? Sell it, don't trade it. Sell now New!